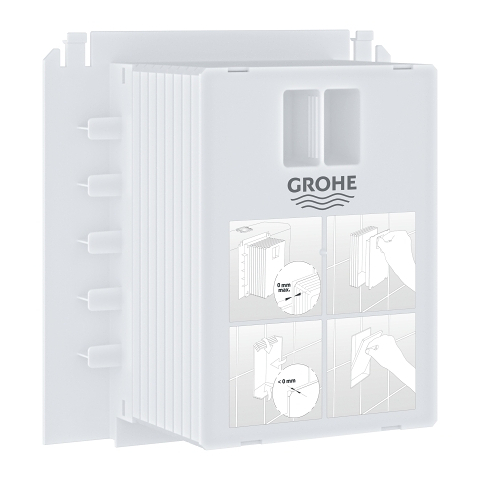 Starting with a flexible hassle-free installation, this GROHE Rapid SL installation system was designed for maximum comfort in your bathroom. 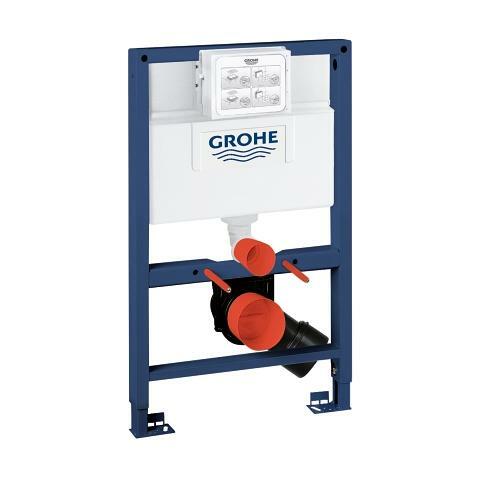 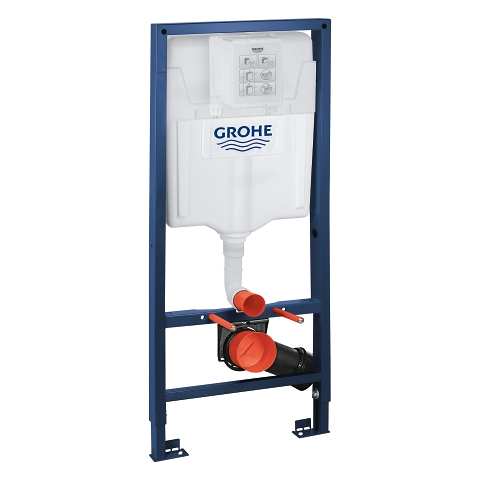 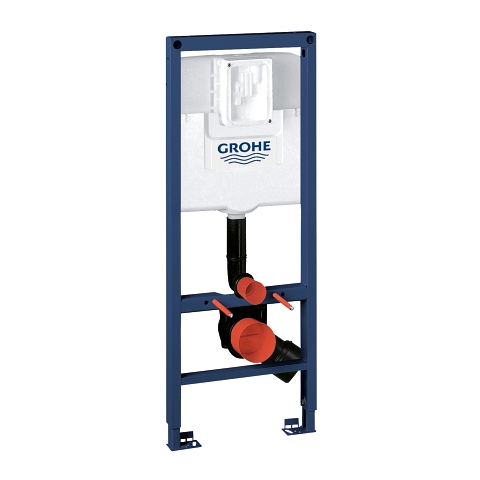 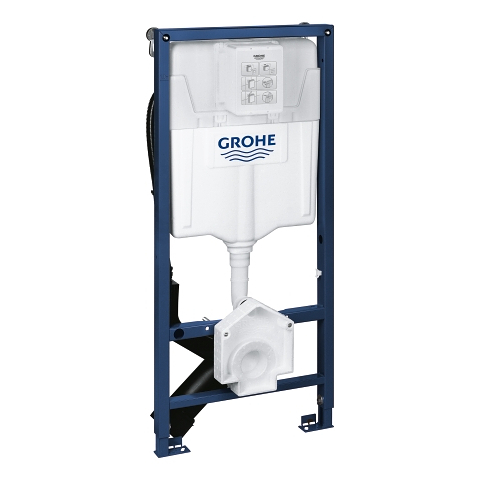 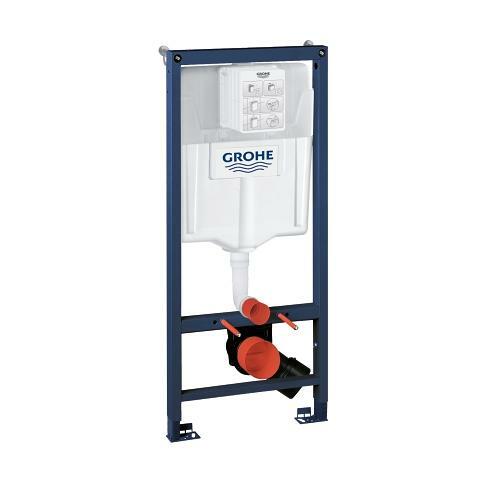 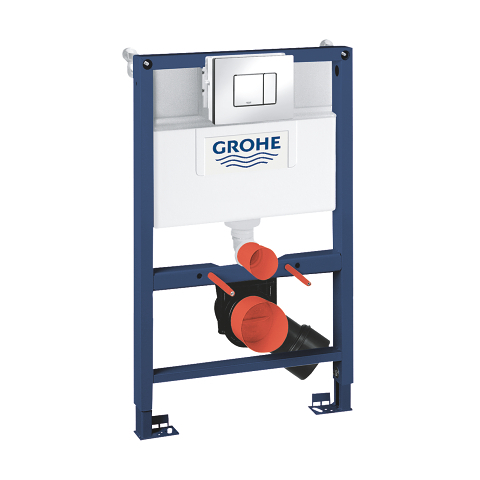 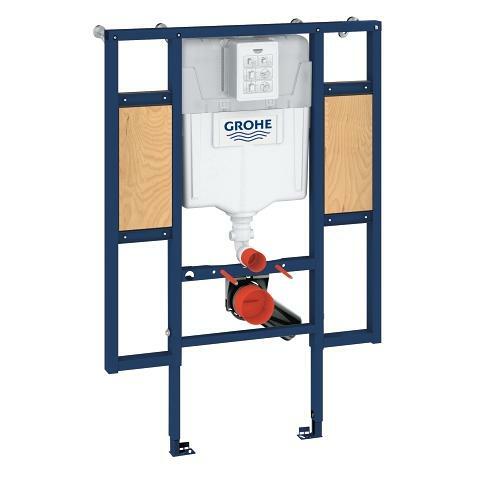 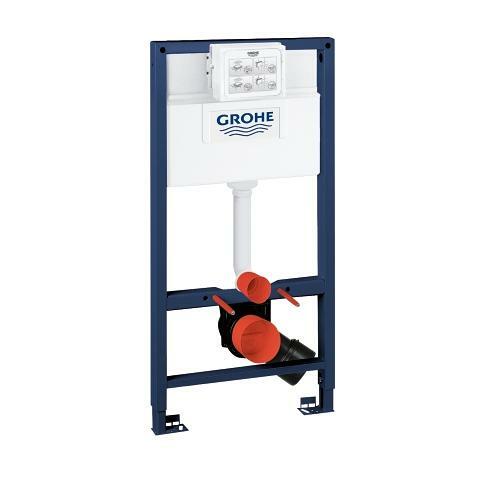 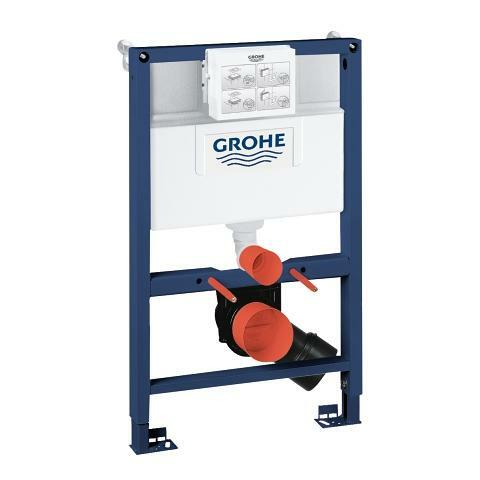 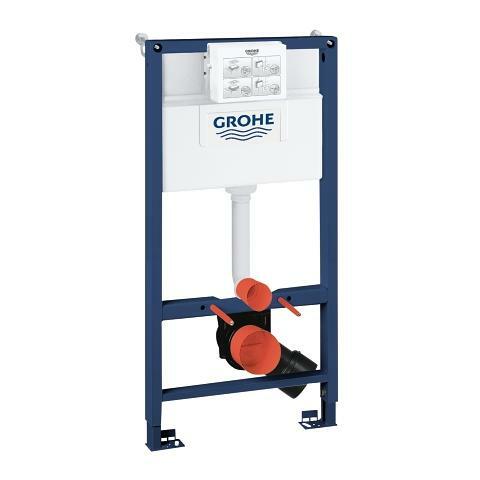 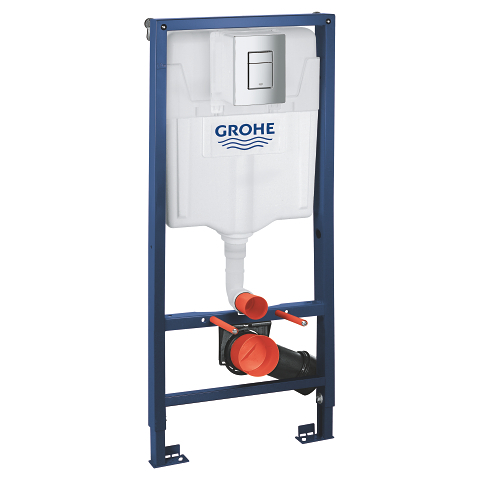 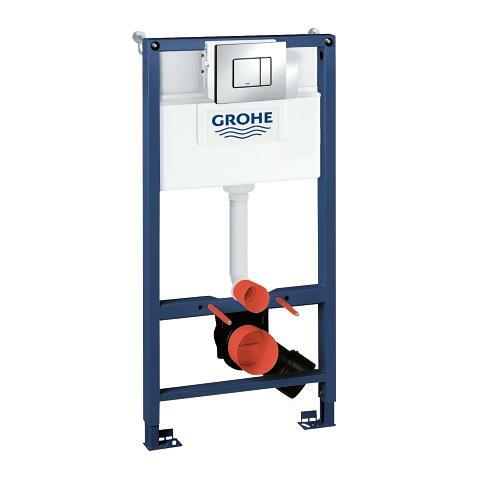 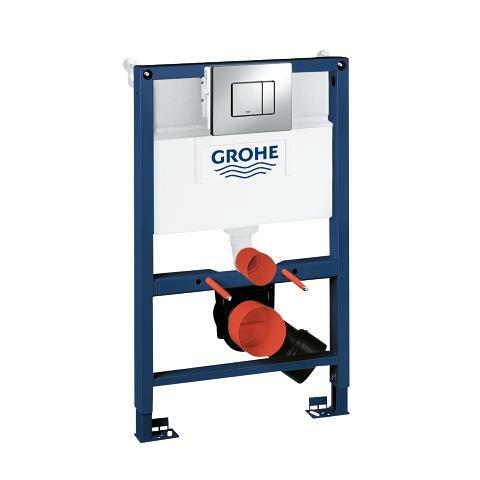 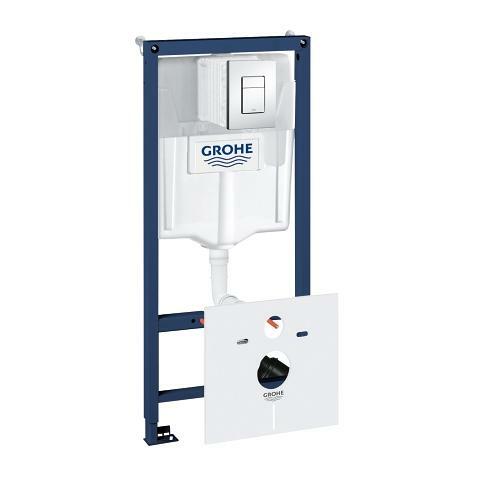 Thanks to the GROHE QuickFix system, it can be mounted rapidly in front of a solid wall or inside a stud wall. 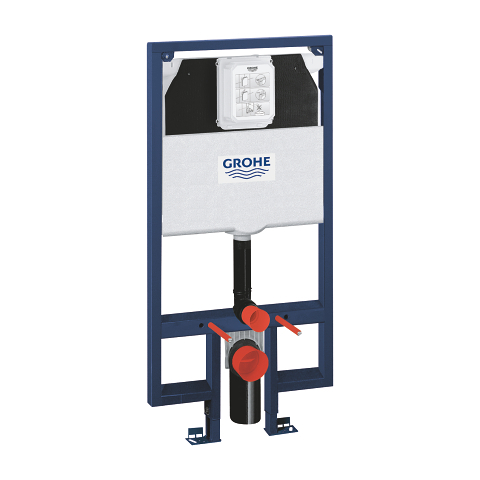 Tested and certified to hold over 400 kg, it provides perfect stability and safety for your home. 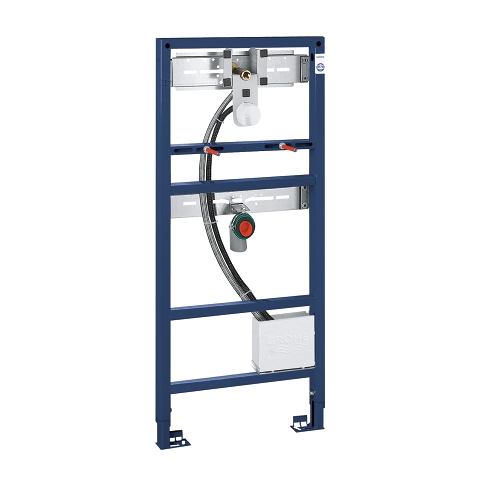 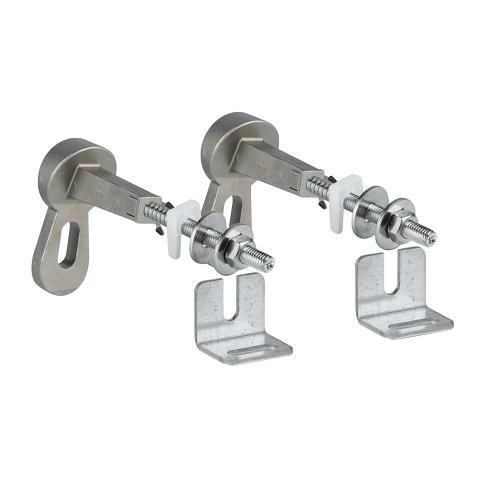 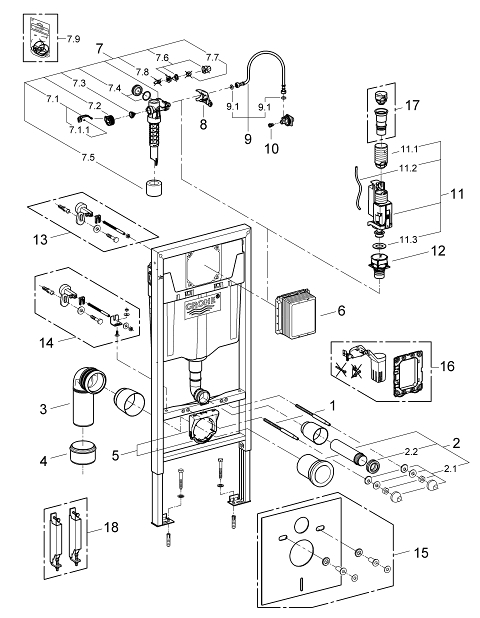 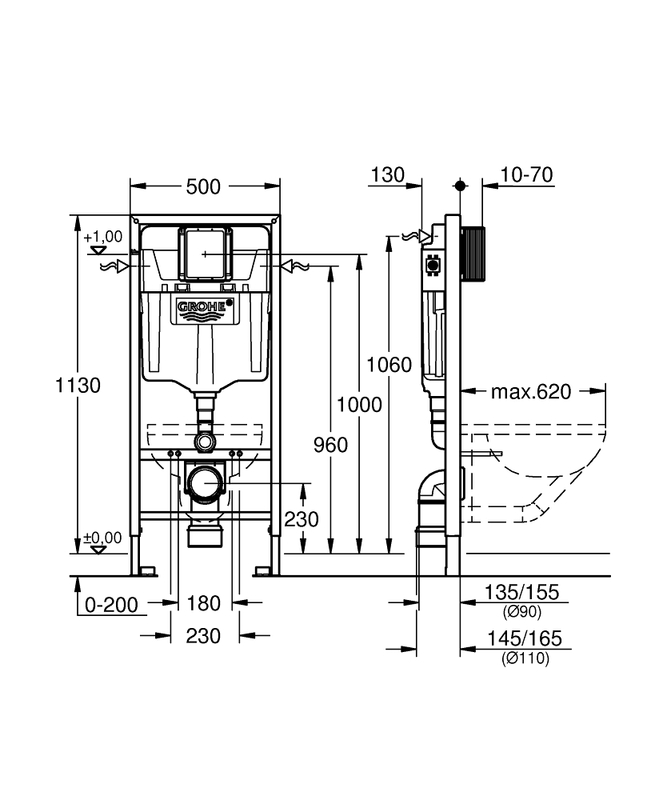 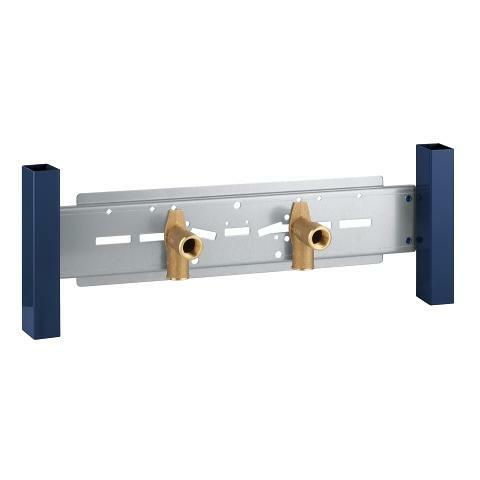 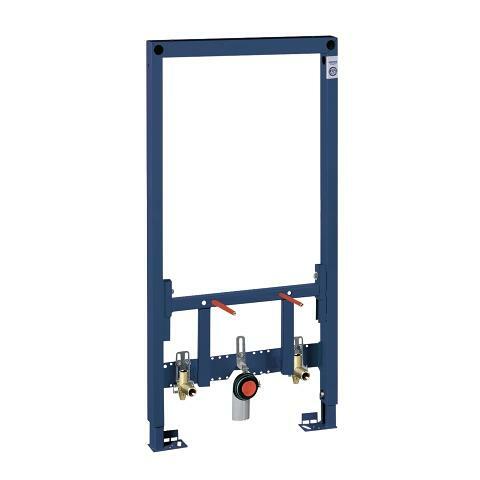 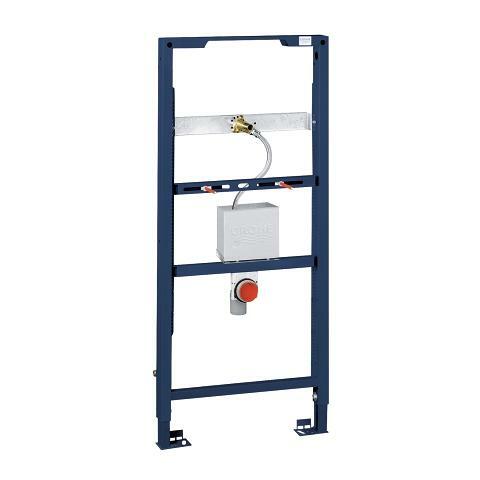 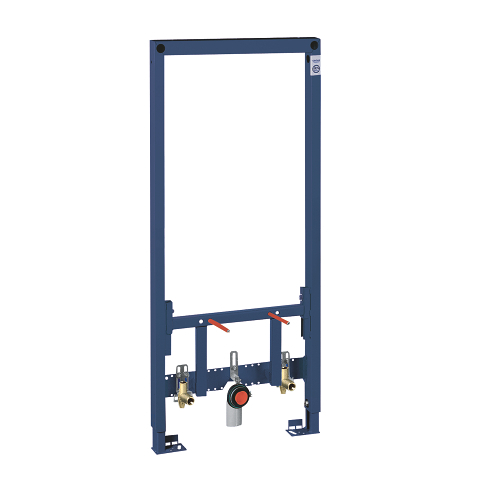 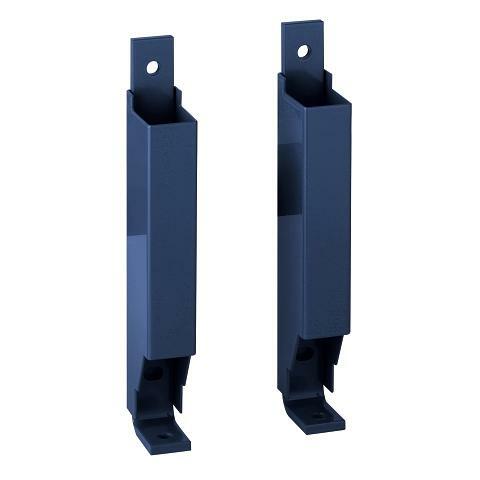 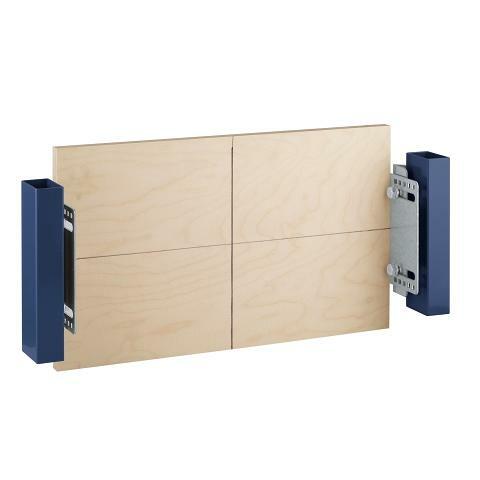 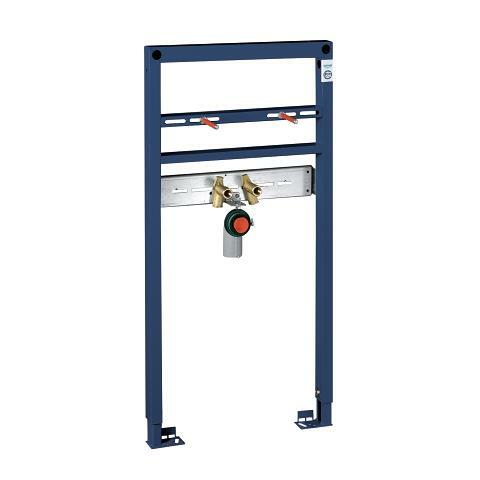 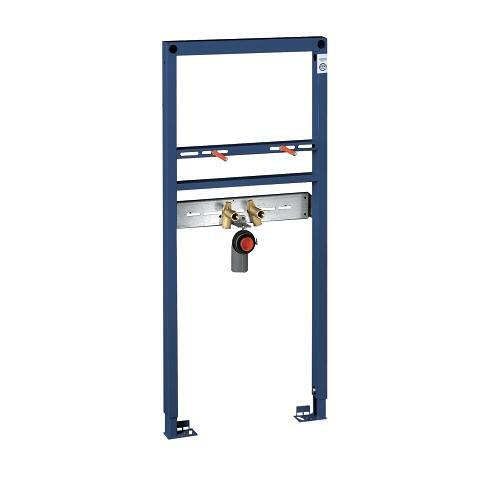 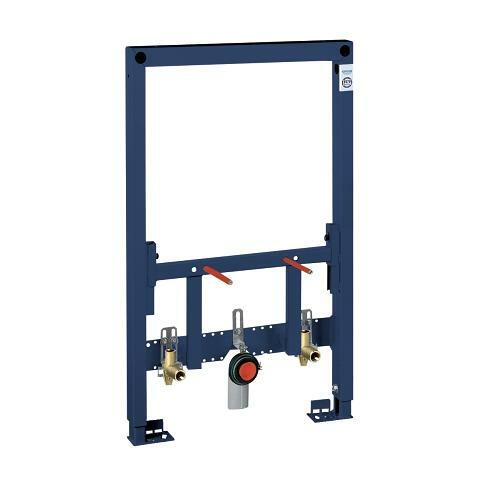 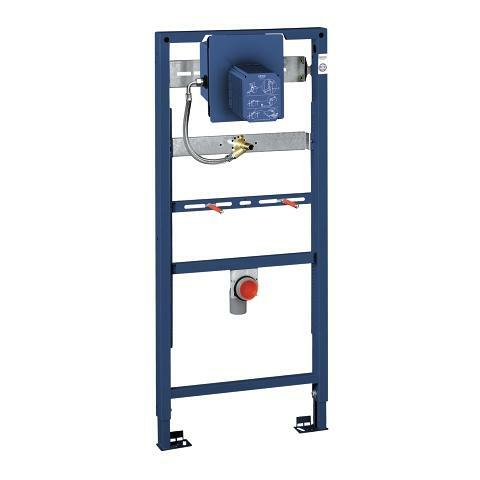 If required, please purchase the 3855800M wall bracket to install this system. 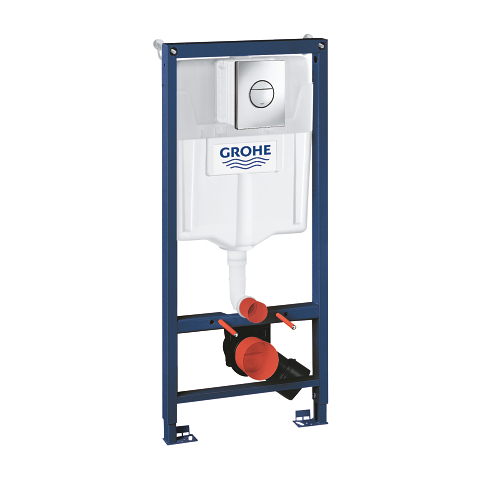 With a wall-hung toilet and an in-wall tank, cleaning your bathroom will be a breeze. 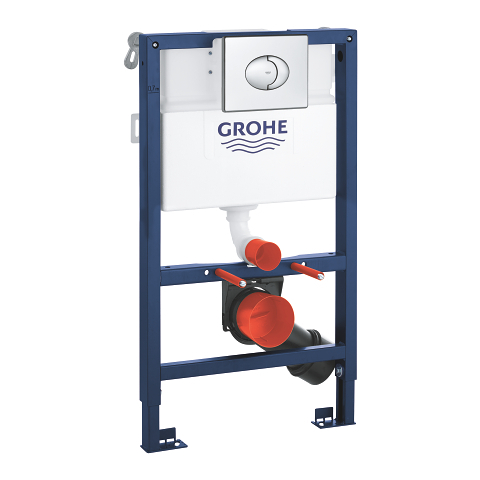 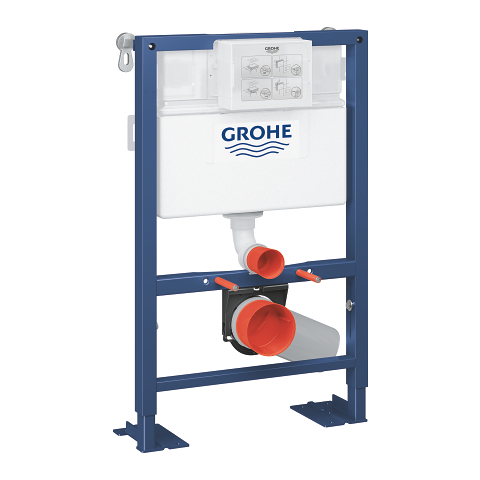 Engineered with low-noise fittings and separate plumbing, the GROHE Whisper noise control reduces noise transmission to adjoining rooms. 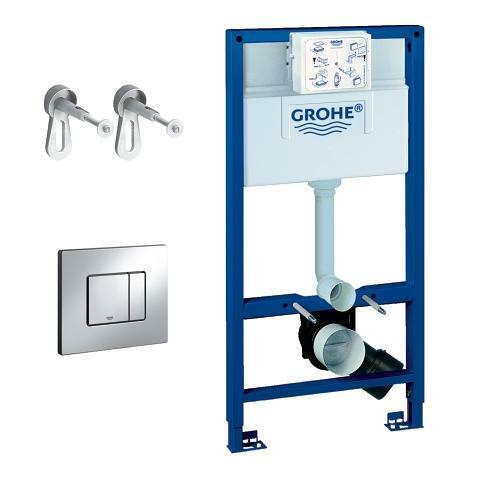 The GROHE EcoJoy dual flush system will reduce your water consumption by up to 50%. 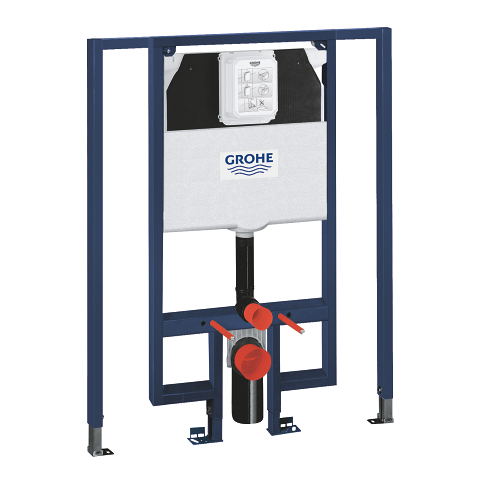 Combined with the flush plate of your choice, this system will be a perfect match for any bathroom interior.